She Builds Her Home: What's the Rush? 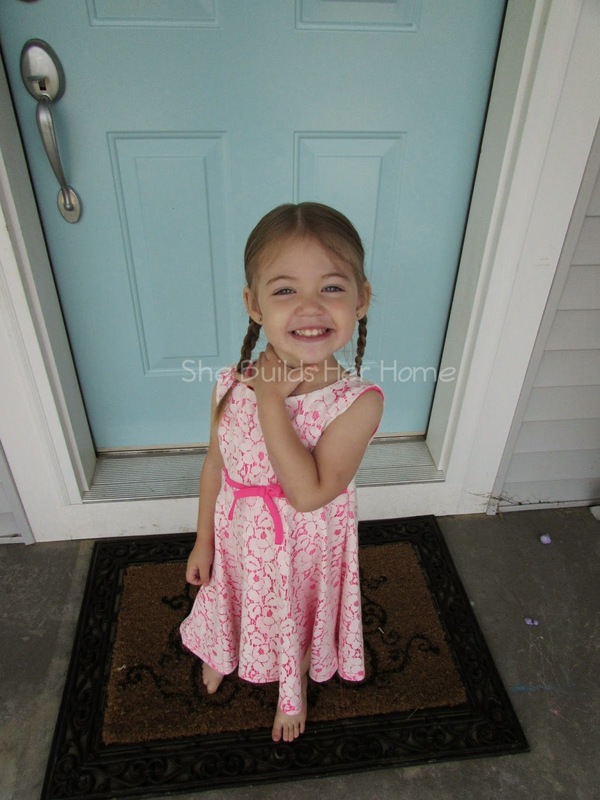 My oldest daughter is a few months shy of 3 years old. She is at such an amazing, fun, hilarious, brave, independent, and oh yeah, trying stage in life. She is so full of life and watching her explore and learn new things is the best thing ever. Kids are so much fun and toddlers have such a zeal for life that is contagious. They are also stubborn, test boundaries, and want to do it all themselves. These are not necessarily bad things when you figure in that they are learning to be independent and you can't learn if you don't try! BUT sometimes the attitude that goes along with it is not great. My husband and I were recently discussing how we've noticed that we both have been a little too harsh with her at times lately. This is not the way that we want to parent. We want to parent in love, at all times. I know that is way easier said than done, and we certainly are not perfect parents, but we try our best. We were talking about how up until the last several months, I couldn't understand how people yelled at their kids or got upset with them over little things, etc. because I never really had. Of course I had my moments of frustration and snippy-ness, but it was a lot more rare. Well, over the last several months I totally get it. When they are testing that same boundary for the kajillionth time, it is frustrating. As we were talking about this and talking about how we can enforce boundaries and rules without being angry or harsh with her, we both noticed something. The most common time for us to get annoyed or frustrated easily, is when we are rushing her along. When we're wanting to get shoes on and out the door and she insists on doing it herself. When we are walking up the stairs for lunch and she stops 17 times for no apparent reason, other than just to stop. That's when we reach that point...the point where we aren't the kind, loving parents we aim to be. Anyone else?! What I realized as we were talking about this though, is what is our rush? 75% of the time, in those situations we aren't in a hurry. Is it really a big deal if it takes us 90 seconds longer to get upstairs for lunch, or we are 2 minutes later to the grocery store than if I hadn't let her put her shoes on herself? I can understand if you are getting out the door and have someone you're meeting or a commitment, like work, you are running late for. But majority of the time, we aren't. So why do we care so much? What is our hurry? What's the rush and why is it so important? I honestly don't have a great answer for that except for that it is societal, and that our flesh is impatient. We are used to go-go-going, and so it feels natural for us to just expect for our kids to be quick. Only, the thing is that they are just kids. Little children who are still learning. Someday, they will be fast. We won't have to rush them. But right now, it's ok to lose 2 minutes out of your day to see your child's face light up when they get those shoes on. And in that case, we certainly aren't losing those minutes. We are gaining something even better than 2 extra minutes of nothingness. I need to slow down. I need to appreciate the stage that my daughter is in. I need to let her be little and not try to rush her for no reason. I'm glad she is becoming independent. I'm glad that she is learning new things and trying stuff on her own! She is amazing and I am so proud of the little girl that she is. I need to remember that in the hurried moments of our every days. Love this! I find myself getting frustrated at some of the same things, so this is a great reminder to slow down and enjoy the process more. So true! 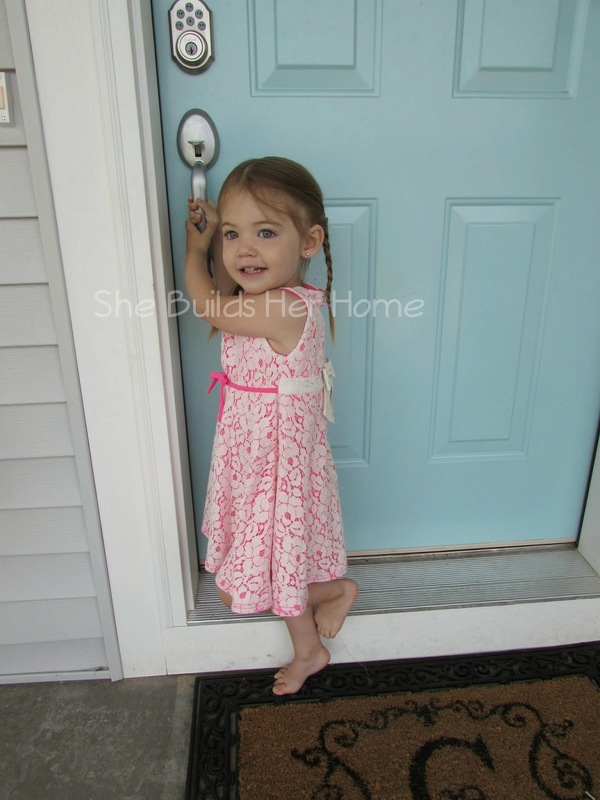 And I still love your front door color and I am loving these sweet big girl pictures of her!